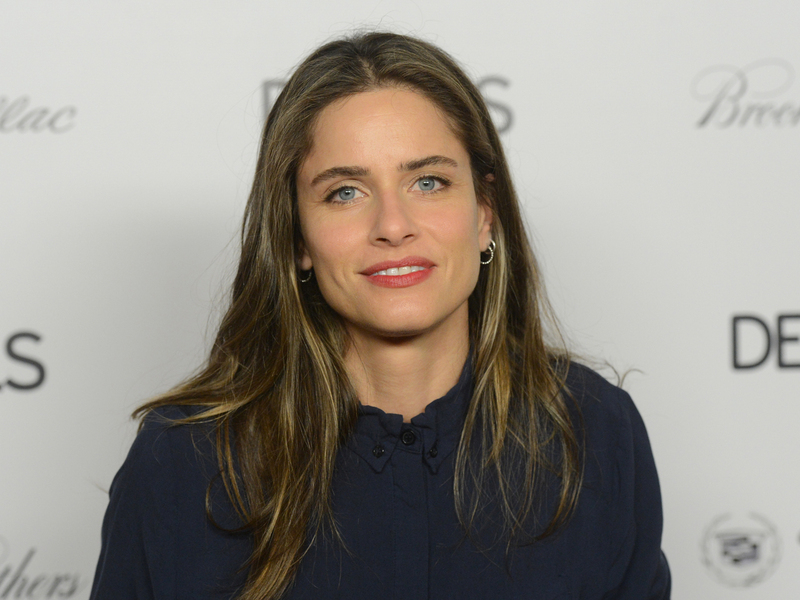 Actress Amanda Peet is hoping to make her professional debut as a playwright next season with a drama that may attract Broadway vets Blythe Danner and Sarah Jessica Parker. The Manhattan Theater Club said Tuesday that it wants to stage the world premiere of Peet's "The Commons of Pensacola" as part of its 2013-2014 season. Lynne Meadow, artistic director of the company, has been working closely with Peet on the play and will direct it. "We are in conversation with Blythe Danner and Sarah Jessica Parker about appearing in this timely, new play about a family weathering a major financial crisis," MTC Artistic Producer Mandy Greenfield said in a statement. "They came here, and they did a reading, and we're talking with them about it," Greenfield continued. "We're all very excited about it." Parker and Danner previously appeared on stage together in the Manhattan Theater Club's 1995 production of A. R. Gurney's "Sylvia." And Parker's husband, Matthew Broderick, is currently starring with Danner in Broadway's "Nice Work If You Can Get It." Peet has currently been on recent episodes of CBS' "The Good Wife."